Mercenary Rank: Mercenary Captain! Ready to create mythics! Addon (A Crystalline Prophecy): Complete! 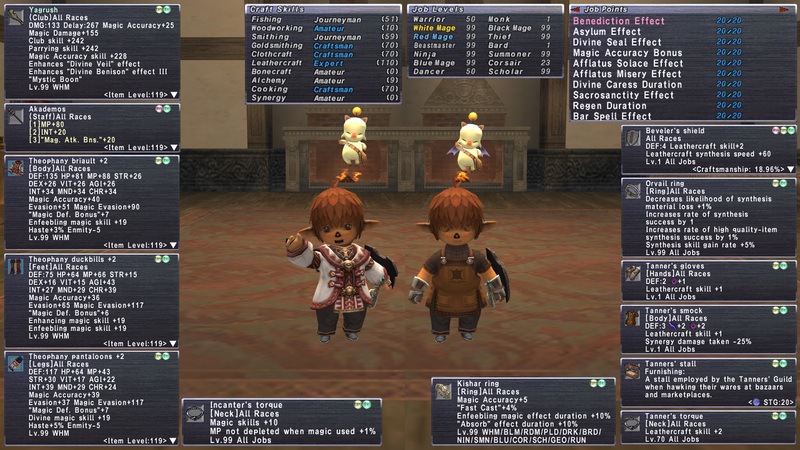 Addon (A Moogle Kupo d'Etat): Complete! Brass Ribbon of Service ?? Bronze Ribbon of Service ? tldr& Great side kick/alt with several jobs 99, decked out WHM with Yagrush. Missions up to date. Ready to go. Leathercrafting beast with good progress towards Eschutcheon Shield. Couple of Legend coalitions as well. gearswaps and macros available for easy transition! WU or Moneygram Payment, Paypal if rep allows.